The Sg. Nibong Terminal is the main express bus terminal for long-distance buses in Penang. The terminal is located near Batu Uban about 20min (10km) outside of Georgetown city centre. 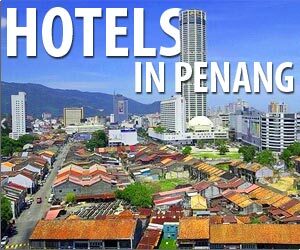 The Penang Hop-On Hop-off covers all relevant attractions of Penang with 2 routes (city and beach route) Tickets area valid for 24 or 48 hours.